A Canadian poll of 1,500 car owners sought to determine which politician was deemed most trustworthy to fix a car, the Windsor Star reported Sept. 10. “The results surprised me, and I’m not surprised very often,” Dennis DesRosiers, of poll creator DesRosiers Automotive Consultants, told the newspaper. Vehicles 1-3 years old: New Democratic Party Leader Tom Mulcair. 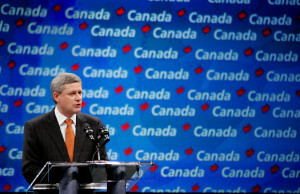 Vehicles 4-12 years: Conservative Prime Minister Stephen Harper. Vehicles 13+ years: Liberal Leader Justin Trudeau. The majority of Canadian vehicles are 4-12 years old, DesRosiers told the newspaper. Those three men are among those battling for the leadership of the country in Canada’s Oct. 19 election, so we thought we’d point out the article to inspire a little tongue-in-cheek public debate by the automotive service industries up north. It’s also a fun question for American service and collision repair technicians to ponder for the American 2016 presidential field, a full house with no incumbents running unless Democratic Vice President Joe Biden — a “real deal” car guy, as Car and Driver editor John Phillips told Politico — enters it.